Amit is the Senior Vice President and CFO at Attune and has over 16 years of experience in finance, human resources, administration and managing business operations across various multinational companies in the Indian subcontinent and international markets. 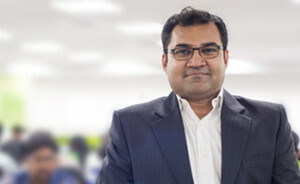 Amit has been associated with reputed organizations like GE Healthcare, Oracle India, Schweppes International, Bosch GmBH and HT Media under various roles in the past. His work experience covers South Asia, ASEAN, Japan, Middle East and Africa and he has travelled to multiple geographies on commercial and financial matters. With GE Healthcare, Amit managed a business of USD 250+ Million spread across South Asia and ASEAN and was responsible for pricing strategy, various LOB’s, cost control measures and growth of the operation margins. He has been awarded the Best Finance Talent in Asia by GE and has won many other accolades in his previous companies for his active role in the business growth and operational efficiency. With Schweppes, Amit was actively involved in analyzing the beverage market across ASEAN and Middle East and structure the right business model, pricing & product fit and the GTM strategy. Amit brings a wealth of knowledge in business finance, controllership, M&A’s and start up management.At Attune, he is responsible for finance, legal and administration functions and plays an active role in the business strategy and expansion plans of the company. Amit is a Chartered Accountant and has a B.Com honors degree in Accounts. He also has various certifications in Controllership, US GAAP and merger and acquisitions. Amit loves travelling and is passionate about golf. He is a foodie and loves to try various cuisines across the world.